My child with Aspergers has anger problems and also how do I help him understand what his real emotions are. Understanding Asperger’s anger is simple. Nearly all of your child’s anger stems from frustration. The characteristics of Asperger’s listed above (plus others) create a confusing and uncomfortable social environment. The natural reaction is frustration, and the natural escalation of frustration is anxiety, then anger. Helping a child with Asperger’s understand his Asperger’s anger and other emotions, however, can be quite difficult. You must help him understand the cause of his emotions and then develop a plan to avoid the negative emotions that stem from frustration. There are several options available for the parent searching for anger management for their child with Asperger’s. Here are a couple of those options. Many people with Asperger’s anger choose to try cognitive-behavioral therapy. This therapy is highly recommended for children and adults with Asperger’s Syndrome. Cognitive-behavioral therapy is individual therapy designed around the idea that a person’s emotions and thought processes are what control that person’s outward feelings and behaviors. Most people tend to blame the situation or other people. This therapy places the focus on a person’s internal thoughts. In other words, if we think a certain way, even though the situation makes us feel the opposite, we can begin to feel better about that situation. * Social stories can be written for specific behavioral problems and situations. These stories can put your child’s feelings into words and offer him simple solutions. * Parenting discipline programs like 123-Magic teach parents how to use proper discipline techniques, which in turn, may diffuse some of the child’s anxiety and anger. * Five point scale assessments teach a child how to recognize his anger or anxiety and prepare to control their emotional responses. * Play therapy/activities make learning emotional control fun. “104 Activities That Build: Self-Esteem, Teamwork, Communication, Anger Management, Self-Discovery, and Coping Skills”, by Alanna Jones, is a book filled with activities that teach coping skills. Read more about this book at For you child with Asperger’s, anger can get in the way of learning, playing, and life. Perhaps you can use some of the above suggestions to help him handle his anger and better understand his emotions. Following on from last week’s email I want to tell you today about the visit that I made, as a social worker, to a family in the summer of 2006. The visit had such a profound effect on me that I decided to set up The Parenting Aspergers website. At the time I was working as a social worker on a local team for children. I was asked to go and carry out an assessment of a teenaged boy of 14 who I’ll call Alex (but that’s not his real name), and his family. The reason for this was that several weeks earlier Alex’s mum had phoned social services absolutely desperate for help. Because Alex was really struggling at school, was feeling very low and depressed, and was being very aggressive towards his older brother. Well when I turned up, as often is the case, Alex behaved impeccably. But he was polite and what he did say was honest and truthful about his current situation. He said that he had no friends at school, that he has been bullied and that the teachers “pick on him”. He really couldn’t see the point of going to school. Outside of school was no better as he had very little interest in doing anything, except playing on his computer games and doing activities connected to his special interest of math and numbers. Alex did not really do social activities and again just couldn’t see any point anyway. So he was in quite a bad way emotionally and at 13 was pretty much opting out of life as best as he could. Now Alex’s mum was in a really bad place too. She would burst into tears on numerous occasions as we talked about the situation. She had very little support as she and her husband (whom she strongly felt had Aspergers too) had split up several years before. Her own family had also become less and less interested in helping, due to them finding Alex so difficult to cope with. So she was pretty much on her own dealing with her son’s school problems, his emotional problems and behavioral problems. And it was tough. And the behavioural problems were going on everyday in her own house – with Alex often being physically aggressive to his brother, and also to his mum. Now if ever there was a family in need of help it felt like it was this one. In fact I even got chance to speak to Alex’s brother who was lovely too. He really tried to downplay the assaults on him, and almost appeared to think that it was OK for his brother to hit him, because of the Aspergers. Overall it was clear he was just trying to be very protective of his brother and not get him into any kind of trouble. So I desperately wanted to help this family as it just felt that they were all really suffering. Anyway I went back to my boss to try to argue the case for the family to receive some support. But as I expected it was turned down on the basis of Alex’ high IQ and lack of any physical disability. This is a problem that I have faced time and again with children who have Aspergers. Because of the invisible nature of the disability, coupled with a good IQ and mainstream schooling, they generally miss out completely for any help from social services. So because I knew that the family would be getting no official help I decided to at least make use of the internet at work and find some helpful information for them. 2. Autism organisations which often had good basic information but didn’t have specific strategies or techniques for parents to use for dealing with situations that they are faced with. Eventually after a lot of digging around online I managed to find a few helpful resources and organisations to put the family in touch with. But it all set me off thinking more about this huge lack of specific resources on the web. 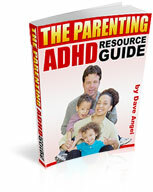 Which led me to researching and writing my first resource “The Parenting Aspergers Resource Guide”. And over time that has led to the weekly Aspergers blog, further volumes of “The Parenting Aspergers Resource Guide” and The Parenting Aspergers Community website. And most recently my interview series with various Aspergers experts (which I am glad to say will finally be available in the first week of June). Now ultimately I don’t know what happened to Alex and his family because, sadly, as I outlined earlier the family never received any more support from social services. But I hope that one of the local organisations I put them in touch with was able to help out. And that particular day certainly changed my life and I know that it has also helped a great deal of other parents around the globe, whom I am happy to have helped (and continue to help) from my website. So I hope this second message has given you some further useful insights into my own story and how Parenting Aspergers came about. “It’s almost like having a mental check-list that you’re identifying. Now, all the characteristics of Asperger’s exist in the ordinary population. A typical person who is not perfect at reading body language, doesn’t have hundreds of friends, who may not like the noise when you note down on the blackboard, etcetera. So, what makes the condition significant is not a unique characteristic but the strength and dominance and effect of certain characteristics. So we’re doing a check-list of them. Now I say that it’s like completing a 100-piece jigsaw puzzle and there are certain essential social relatedness bits and pieces. But 80 or more pieces of the 100-piece jigsaw puzzle makes the diagnosis. What Behavior is due to Aspergers? “It is a very important question because what you often try to disentangle is what is Asperger’s and what’s typical adolescence or typical seven-year-old’s conflict resolution (of “an eye for an eye.”) It really requires expertise to disentangle the two. Certainly having Asperger’s is not an excuse to get away with things and there needs to be appropriate consequences. But the difference with Asperger’s is you’re going to have to spend more time explaining why. And logic is what they’re going to need in what to do or a script of what’s required. But it means if the child has double issues, one of the typical issues that you’d expect of that age, but the other is due to the social confusion, different learning styles, all those sorts of things, that makes life even more of a challenge for them. “As far as we know, the core characteristics of Asperger’s in girls is the same as the boys. The difference is how they react to it; not the condition itself. And so, boys tend to be clumsy, oppressive, annoying, argumentative and difficult. And if they get upset, they’re likely to become quite agitated. Whereas the girl may have an approach which is more intelligent but may cause them to be camouflaged. One of the things that they may do is for example, imitation or mimicry. If you’re not very good at socializing, okay. I’ll look at those who are good. I will watch. I will observe from a distance. I will try and work out what’s going on and then I’ll give it a try. Or I will become someone for the situation. I will learn how to act, to “fake it till I make it”. And so for that individual, what they’re doing is taking someone at school who’s popular and becoming that person in terms of body language, clothing, et cetera, so it’s imitation. Sometimes the girls would escape into imagination. And what they will do is have imaginary friends and imaginary worlds and witches and wizards and all sorts of things including imaginary friends. And by escaping into imagination, you’re not a problem. You are just considered to have attention deficit disorder and you’re off with the fairies, literally. But you’re no trouble. But you’ve escaped into another world because you don’t understand this world. And they also know how to be on the periphery of activities and to be good. And when I watched the girls as they progressed, they can either be a goody-goody in terms of they’re almost too good at school, not necessarily at home. But they know, “I don’t want to be noticed. I don’t want people to see that I make a mistake.” And so, they’re very well behaved. But to some, especially in adolescence, they may go completely off the rails and be a major problem. They tend to be the goody-goody or just totally destroy all conventions. So the girls often seem to suffer in silence. They seem to adjust to the situations by mimicry, intelligent working things out. But also, girls tend, with Asperger’s, not to be bitchy. And so they may have one genuine friend who is almost like their personal teacher assistant in the classroom who guides them. In return, the girl with Asperger’s is a very kind, supportive, and loyal person, with one friend who provides the support. But if that friend moves to another town, unfortunately, the person has no idea how to make new friends. Another question that I asked Dr. Attwood was “What kind of things should parents of children with Aspergers (who are now adults but undiagnosed) be considering and what can they do to help their son/daughter? Dr. Attwood said “There are lots of things. When I do a diagnostic assessment of an adult and I often ask them things like when did you first know you were different? Very young. And then they had a reaction to that. But I also asked them, when would you have liked to have known of your diagnosis? Especially, all of them say as soon as possible. They say I wish I’d have known as a kid because I wouldn’t be called psycho, stupid, people would’ve understood me, people would have helped me. But once the diagnostic process is complete and confirmed, it means that the person now has access for accurate information, has a self-understanding to make better decisions in terms of relationships and in terms of career and explaining themselves to other people. And that can be highly successful. I hope these tips from Dr. Attwood have been helpful. I am still working on completing all of the expert Aspergers interviews and they should be all ready in the next couple of weeks – watch this space! Dr. Alison Kawa is a Child Psychologist from Los Angeles who specialises in the assessment of children on the autistic spectrum, and trained at UCLA Autism Evaluation Clinic. She also teaches future psychologists at the prestigious Reiss Davis Child Study Center at Vista Del Mar, California. What Behaviors Are Due To Aspergers? “You know what, I don’t think it matters. I don’t think it matters because either way, good behavior is acceptable and bad behavior is unacceptable, and it’s up to the parents to call it. And there’s no way of knowing whether this is, you know, you’re more Asperger’s, your child got rigid and is having a tantrum, or if this is a mood swing associated with puberty. Who knows. Either way you have to learn to control your temper. And they don’t get a pass. You’re not going to say, “Oh well since you have Asperger’s, then you can run around the house, banging on all the doors when you get mad.” These children are born into our world, into our society and your job as the parents, for all of your children is to socialize them, one of your main jobs. And so, you know, I think that it doesn’t necessarily matter – what’s just a kid being defiant because they are testing the boundaries of authority or what have you. I hope that these insights have been helpful. In around 2 or 3 weeks time all of the 6 Aspergers Expert Interviews (with Dr. Tony Attwood, Dr. Stephen Shore, Dr. Allison Kawa, Dr. Joseph Shrand, Wendy Lawson, Anne Miles) will be available… so watch this space.